language. In this article, I take a closer look at one of the programs mentioned. Prima Latina contains more vocabulary than some of the competing programs. One of the strengths of the program is that with each vocabulary word, English derivatives are given – both increasing the student's understanding and knowledge of the English language and its vocabulary and of Latin. For example, the word "unus" (one) is shown with two derivatives – unite and unicorn. Another strength with this program is each unit only gives five vocabulary words and a practical phrase. The reason this is great is because it keeps from overwhelming the students for the age group it is aimed at. This curriculum is aimed at students who are emerging in their reading and writing skills. 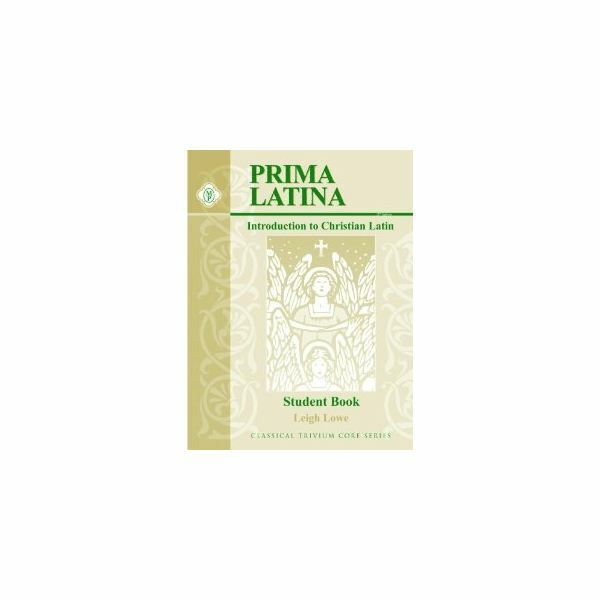 Thus, the grammar included in Prima Latina is rather limited (it instead aims to introduce students to Latin and foreign language study). The book does teach students to recognize Latin verbs, nouns, prepositions, adjectives, adverbs and the first conjugations and declensions of words. It dips students feet into the grammar, but does not focus on it – for focus, you would want to have your student work with their next higher level of Latin instruction: Latina Christiana. Remember my mentioning that Prima Latina is not a secular program for teaching students grammar? This is really where it comes in. The curriculum features Christian prayers for students to memorize and translate while learning the vocabulary. This is really where I wish there were more meat in the program. Other than the prayers, and some of the practical Latin phrases "vidi, vidi, vici" there isn't too much work at this level in translation. It would be nice if an opportunity were given to these younger students to practice their newfound Latin skills. If you purchase the textbook and the teacher's manual, the teacher's manual comes with tests and answers to the student exercises. There are five tests (reviews of groups of chapters) included. You may wish to give the student quizzes about what he or she has learned in addition to the tests. For this, you will need to create your own form of evaluation. At this level, the tests ask some questions about the grammar rules learned, the vocabulary, the practical Latin, and the memorization of prayers. Weaknesses set aside, Prima Latina is a very good option for parents or teachers wishing to introduce young children (K-3) to Latin when they do not have a grasp of the language themselves. The program is appealing to students, by offering "fun practice" and is set up with plenty of opportunity for practice. The program also offers a CD that assists students with pronunciation of vocabulary words. In all, this program comes highly recommended – if students and teachers are not looking for a secular program.